"Ammolites" are Ammonite fossils found in Madagascar and Alberta (Canada) that display iridescence by compression and mineralization of the Ammonite fossil. These iridescent Ammonites are often of gem quality when polished. In no case would this iridescence have been visible during the animal's life; additional shell layers covered it. Having energized, high quality ammonites on display in certain areas of the house will enhance the vitality, harmony, prosperity, and overall well-being of all the occupants and visitors to the house. 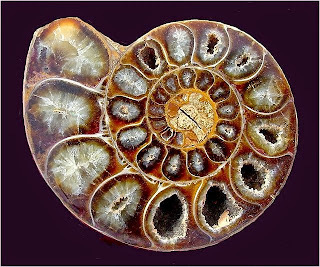 Everybody can benefit from owning or being in physical proximity to high quality ammonites, with or without the study of Feng Shui. Shells are powerful symbols of good luck in Asia. Natural objects that shine and reflect the light can be used to lift and activate Qi. When strategically placed, a bright object can also send harmful energy back to its source. 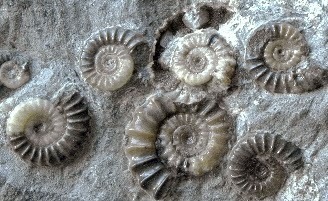 Many Feng Shui masters believe that ammonites contain the absorbed knowledge of the universe. Stored in the spiral inner whorls of the animal, plasmic energy radiates out in a centrifugal motion for the benefit of those in the vicinity. This cosmic energy will enhance health, wealth and enlightenment. Ammonite may enhance the flow of Qi or life force energy throughout the body and may reduce the body's toxicity. A continuous harmonious balance of nature’s five elements (fire, earth, metal, water, and wood) is evident within the naturally occurring vibrating colours embodied by the ammonite. 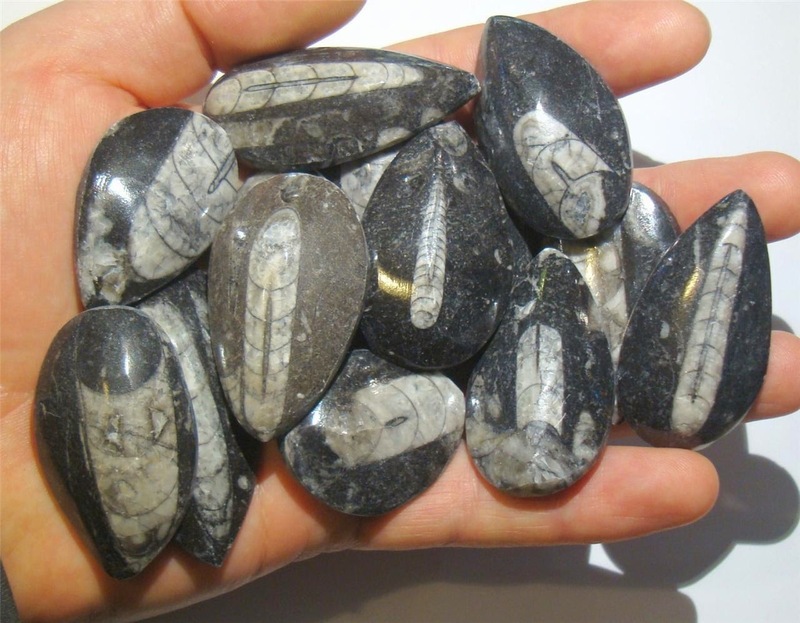 This rainbow of energy may benefit people who place or locate the stone within a home or office environment, especially when they are placed upon the heart of the home or business. Strength and power radiate from the shell. It is believed by some that the shell has the ability to transpose negative energy into positive.